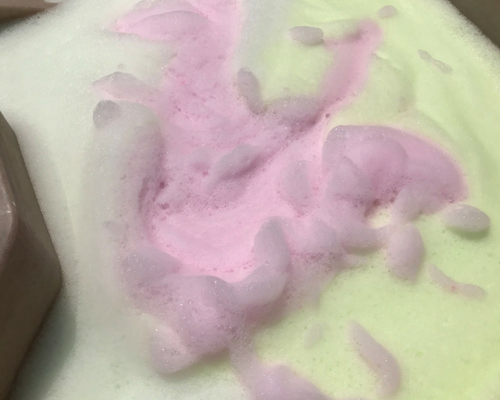 Today we are going to be creating “Foam Soap Play.” We will only be using a few supplies that you most likely already have on hand. Let’s get started! 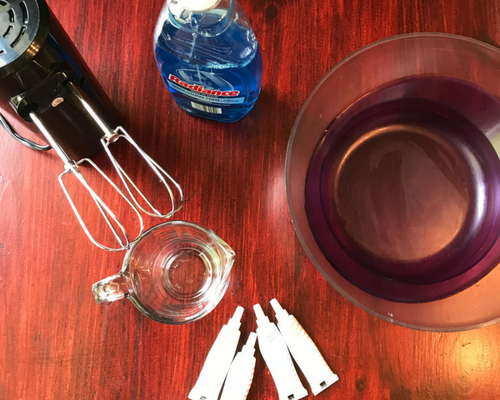 Add a cup of water, a few tablespoons of dish soap and a few drops of food coloring to a bowl and blend up with a mixer. 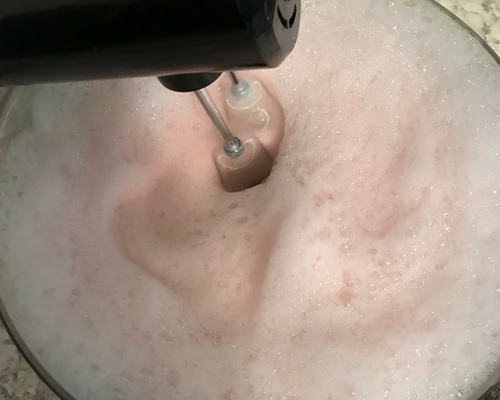 Add more soap or water as needed. 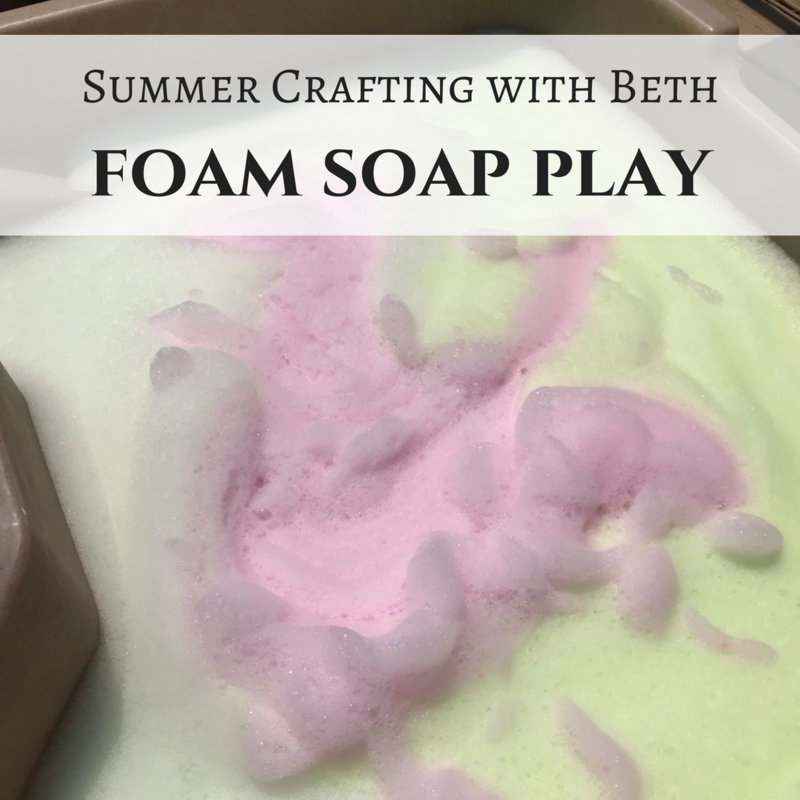 Once it’s nice and foamy, pour it into your play table or kiddie pool and add the toys! 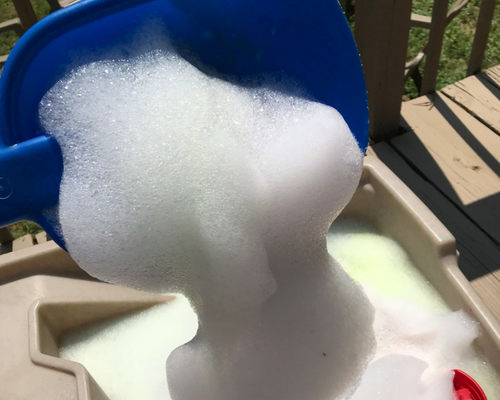 Keep making more foam soap bubbles until your table or pool is full! 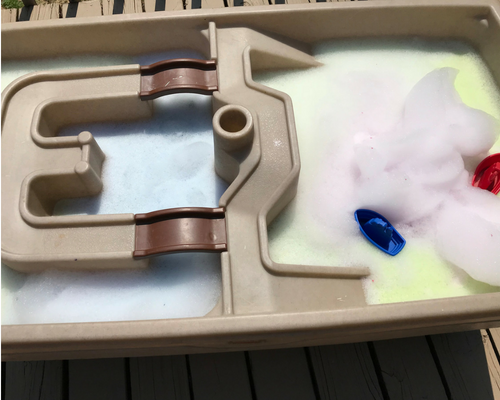 It’s a great sensory activity for little ones as well as bigger ones too!